Perched majestically in the north of the European continent, is a cultural powerhouse. Often underestimated for its size, Belgium is not a mere stop over on the European highway. Belgium has been the stage for epoch making events in the bullet riddled European history. It has witnessed the rise and fall of the 20th century superpowers, hiding in the flat landscape the battlefields of Waterloo, Ypres and Passchendale. The nation is an art connosieur’s dream; producing some of the finest renaissance art. Belgium’s art galleries are replete with their fantastic works of artists such as Breughel, Van Dyck and Rubens. 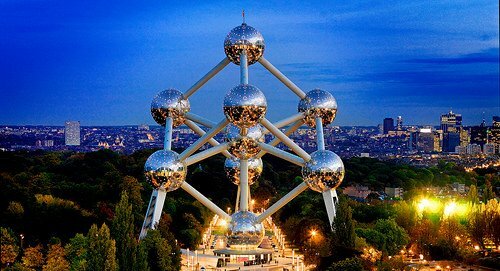 Belgium’s architecture is a proof of artistic acumen. Streets of Ghent, Bruges or the capital Brussels are adorned with unparalleled renaissance art and architecture. Steeped in history, its cities also carry distinctly cosmopolitan and modern outlook. Strolling through the streets, it’s hard to ignore the refinement of Belgian culture, a melting pot of French elegance and Dutch devil-may-care attitude. Nowhere is this more apparent than in Brussels’s center where you can enjoy a sumptuous meal in a Michelin starred restaurant, or eat a paper cone of fries within yards of each other. Classy coffee joints sit cheek by jowl with dance-clubs. While sipping a hot cappuccino, one can overhear different languages at play. A far cry from its historical roots, Belgium also attracts party animals from across the globe to the worlds largest electronic music festival – Tomorrowland! Hence, while its easy to miss this tiny nation on the map, it’s impossible to forget the memorable Belgian experience.